Alex Kurtzman Developing Multiple New STAR TREK Shows | Birth.Movies.Death. Alex Kurtzman took over the running of Star Trek: Discovery late last week, but as it turns out, that’s just the beginning of his new reign over the Final Frontier. According to Variety, Kurtzman has signed a five-year deal with CBS, at $5 million per year, to oversee a broad expansion of the televised Star Trek franchise, with multiple shows already in development. Among the shows under development, says Variety, are a Starfleet Academy series from Gossip Girl and Runaways’ Stephanie Savage and Josh Schwartz; a limited series based on the story of Khan Noonien Singh; another limited series, whose plot is being kept secret; and an animated series. Kurtzman will be developing non-Star Trek shows too (CBS will hire a second executive specifically to help oversee Trek), but look, we’re a Star Trek household here. Kurtzman is no stranger to bullish franchise plans, of course. In addition to directing Universal’s remake of The Mummy, he was one the overall architects of the studio’s Dark Universe plan, which has for the present been shuttered after a single film (Kurtzman's). While it’s not entirely fair to compare that failed franchise with Star Trek - a franchise that’s operated continuously for over 50 years and still sees fairly strong success - the comparison is very, very tempting to make. 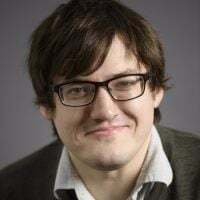 Alex Kurtzman has gone from being the most powerful man in monsters to the most powerful man in Star Trek, having also co-written Star Trek ‘09 and Into Darkness and produced Into Darkness and Beyond. As for the plans themselves: we’ll see. 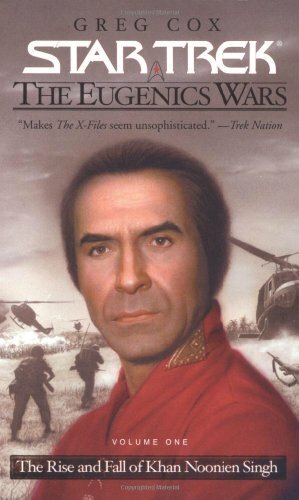 I think I speak for many people in saying that the Wrath of Khan story, though one of the franchise’s best, has been done to death, both in remake and in homage/ripoff (I'd be into a show about the Eugenics Wars, but that's pre-Starfleet and thus unlikely to be produced). A Starfleet Academy series has been rumoured for decades, and it seems like a pretty natural fit for TV, which gloms hard onto anything with standing sets and youthful casts. And we don’t know enough about the animated or limited series to discuss them, but hey, just for fun, check out Memory Alpha’s articles on unproduced shows Federation and Final Frontier. The most intriguing wrinkle to this story comes from The Hollywood Reporter, which claims that Kurtzman is also attached to a Picard-centric show starring Patrick Stewart. Stewart recently expressed interest in working with Quentin Tarantino on his potentially-upcoming Trek film, and recently teased a return to the franchise on TV as well. Personally, I’d be a thousand percent into a limited series to give Jean-Luc Picard a proper send-off. Star Trek: Nemesis was awful, the character deserves better, and Patrick Stewart has been turning in some of his best work lately. A final adventure for Picard with as much commitment from the actor as he gave in Logan would be quite something. For now, production is underway on Star Trek: Discovery’s second season, with its premiere targeted for April 2019. We’ll keep you updated on this ambitious plan’s progress and/or collapse, depending on how it goes.